1037hrs - After a very busy morning due to the winter weather ambulance 89-1 along with paramedic 193 were dispatched for a patient with burn injuries. 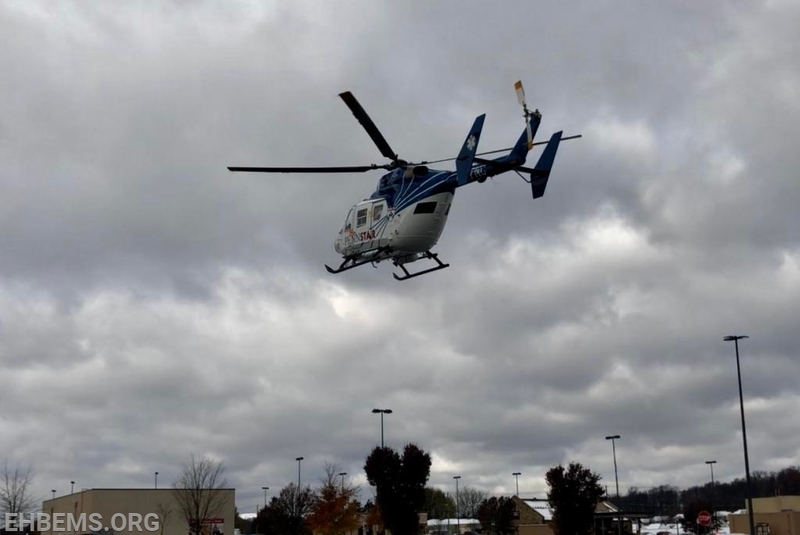 Due to the condition of the patient along with the distance to the proper facility, Pennstar 4 was requested and flew the patient to a burn center. 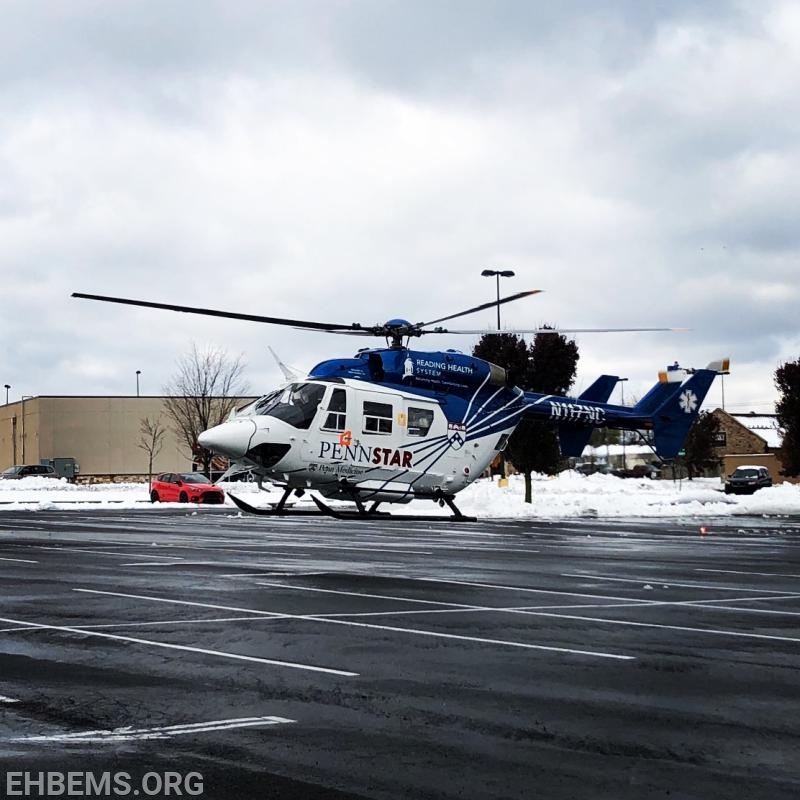 Twin Valley Fire Dept assisted with providing the LZ for the helicopter. We wish the patient a speedy recovery.